On April 3, the Alaska Department of Fish and Game announced that it would close Kimberly Lake in North Pole and a lake on Eielson Air Force Base to sports fishing because of PFAS pollution. The department said that water tests from Kimberly Lake, which is stocked with rainbow trout, showed the PFAS pollution exceeded the “action levels” identified by the state Department of Environmental Conservation. The sum total of five PFAS chemicals found in the 6.7-acre lake on Oct. 12, 2018 was 120 parts per trillion, which was 50 parts per trillion above the state standard set last summer. Last week the Dunleavy administration, without a clear public announcement, set a new standard for PFAS pollution, under which Kimberly Lake, located northwest of the old North Pole refinery site, gets the state stamp of approval. Under the new plan, the sum of only two PFAS chemicals—PFOS and PFOA—will be counted in measuring pollution. 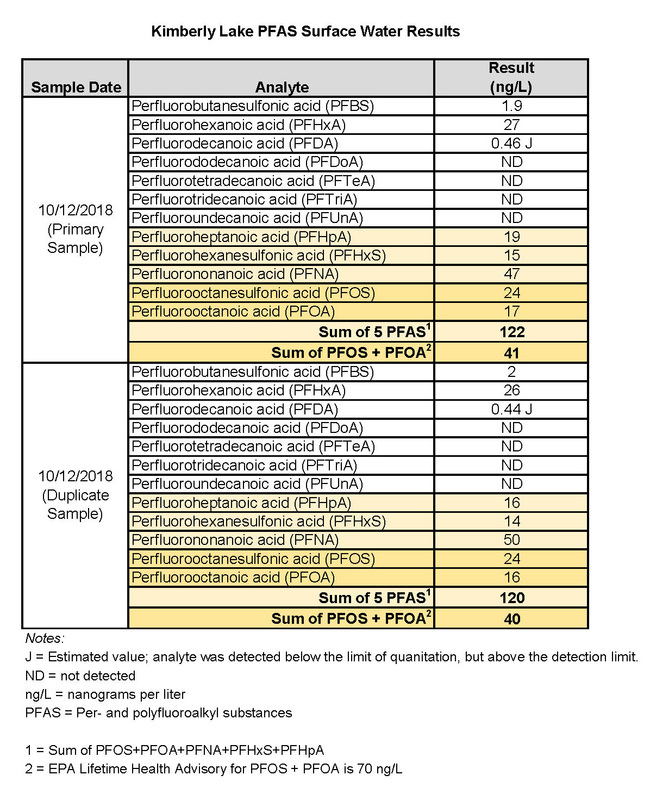 By not counting three pollutants measured last fall, the PFAS pollution level at Kimberly Lake drops to 40 parts per trillion, which means the water is safe, if you believe the Dunleavy administration. Most of the pollution in Kimberly Lake is from the three PFAS chemicals that the state will no longer measure. The biggest source is a chemical called PFNA, which was present at about 50 parts per trillion in Kimberly Lake. If there is a perfect example of why the Dunleavy administration PFAS policy is a disaster for public health, it is found in the waters of Kimberly Lake, where the pollution problem has been redefined out of existence. A lot of this comes down to whether you trust scientists or the regulation wrecking crew hired by Gov. Mike Dunleavy. There is a clear pattern by the latter of downplaying the threat to public health from PFAS contamination. Among the communities with PFAS issues, the list so far includes Fairbanks, Utqiagvik, Galena, Gustavus, Dillingham, King Salmon, Moose Creek and North Pole. I suspect that the state will be reluctant to aggressively pursue the search in other towns and villages. Every community in the state with an airport at which fire-fighting foam was used could have a problem as the PFAS chemicals often find their way into the groundwater. Fire-fighting foam was used at the site of the former North Pole refinery. This has no relationship to the sulfolane pollution problem that has been in the news for several years, except that substances containing PFAS chemicals were also used at the refinery. Under the state’s new water standards, Kimberly Lake is not contaminated, but because three fish were tested and found to be contaminated, the Dunleavy administration is unlikely to reverse its fishing closure order for public relations purposes, if for no other reason. Plus, over time, the chemicals accumulate in fish, which is one reason for concern. By no longer measuring water samples for those chemicals, however, there will be no basis upon which to decide whether fish should be analyzed for the chemicals. The state later closed the lake to sports fishing, but fish and game did not reveal that fish had been tested and found to contain the chemicals that no one will talk about anymore. Because the fish were tested and found to contain significant levels of PFNA—one of the chemicals the state will no longer look for—and PFOS, the state is not going to stock the lake anymore.